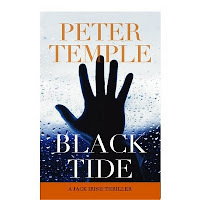 Black Tide is Peter Temple’s second Jack Irish novel (there are four in the series, not all available presently in the U.S.), published originally about 5 years ago. The novels about Australian attorney Irish are complex, in this case mixing plotlines (all from Irish’s first-person point of view) concerning his negotiations between two gangsters, his participation in a horse-racing scheme with several shady friends, his investigation into the disappearance of the son of a friend of his father, the waning and end of his relationship with a TV announcer-girlfriend, and his avocation as an apprentice carpenter. Unlike some crime novels with complex plots, these stories do not all coverge—instead of clever plotting, Temple’s use of complexity gives instead the “reality effect,” a sense of life’s (and real people’s) diverse experiences—along with a great deal of oblique and slangy dialogue (some of which is very local). The reader flows along with Irish until one of the plots comes to the front, as the “thriller” promised by the novel’s publicity. 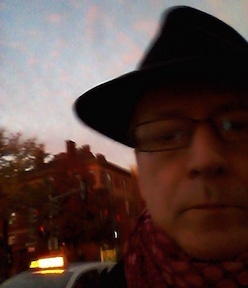 Irish is no superhero, he’s a lawyer with a marginal legal practice and a lot of shady friends, but in this book he falls into a plot that could have come from a more conventional thriller, featuring international arms trade, money laundering across international borders, ruthless agents, and corrupted government officials. But Temple’s reality effect keeps the story grounded. 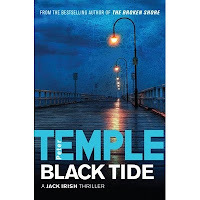 In the Irish novels, Temple doesn’t take up the big social issues that he addresses in his excellent The Broken Shore, but Black Tide is not in any way a lesser novel—its focus is simply more closely on characters who are unfailingly real and interesting. It may take a reader (at least a non-Australian) a while to get into the book because of the intricate speech patterns in the dialogue, but once the ear is attuned, the story flows forward in ways that are involving and increasingly rapid. There is no easy or clichéd plotting but there is enough action on all fronts to justify the “thriller” category. The two images are the U.S. and the U.K. covers of the most recent paperback editions. Fabulous book. I loved it. I've just read and reviewed the "sort of" sequel, Truth, which is a very differently structured book from The Broken Shore but no less compelling and complex (and pretty dark).